Jazz is a true form of self-expression. From humble beginnings, it has branched into many styles – styles that no descriptions accurately define. Jazz inspires freedom. It moves; it feels; it emanates change. 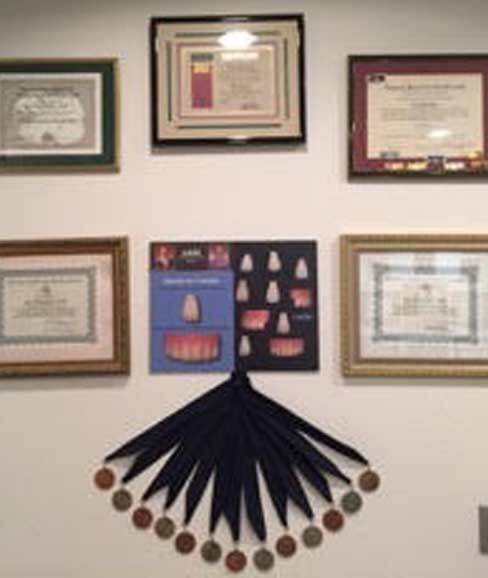 That was my inspiration for founding Opus One Laboratories – to redefine the standards by which all dental art is judged. Knowing how closely science and art connect, we work one-on-one with our customers, uniting the needs of the dental community with those of the patients. We emphasize consistent collaboration, studying everything we can about each case so we deliver precisely what is needed – from both a technical and esthetic point of view. While all Opus One work is based upon a foundation of science with an artistic touch, we are always striving to enhance our theories, materials, and procedures – and our most successful ideas come from talking with you. We embrace change, and we welcome the opportunity to improvise. That’s why dental professionals look to Opus One as their premier lab – providing customized products, impeccable service, genuine knowledge, and consistent quality. From innovative design and color palettes to superior functionality and patient satisfaction, we’re always here to make sure you strike just the right note. We welcome you and invite you to experience the integrity of Opus One. 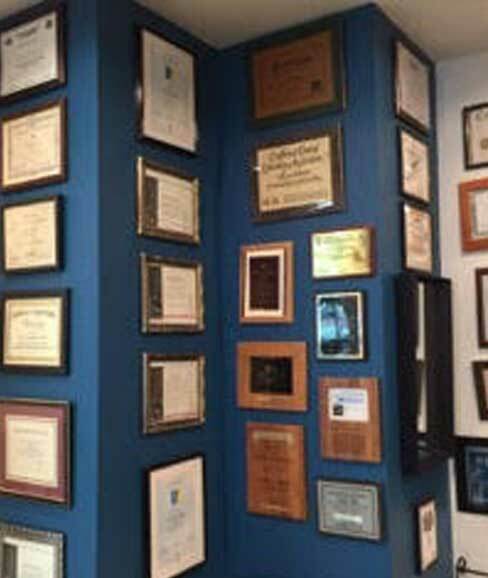 Uri is a Fellow of the prestigious International Academy for Dental Facial Esthetics. 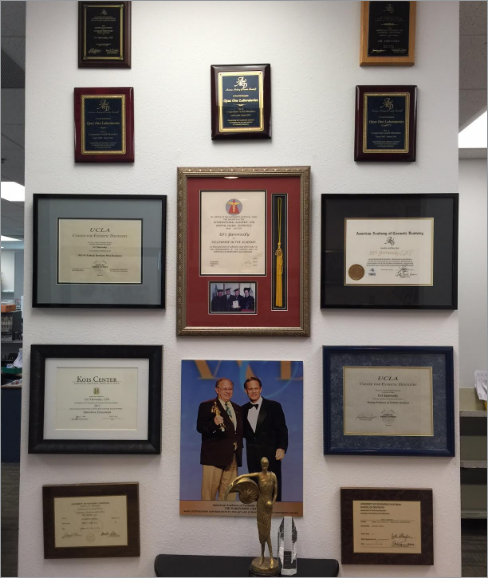 Among his many honors, he has received the award for “Outstanding Contribution to the Art and Science of Cosmetic Dentistry” from the American Academy of Cosmetic Dentistry. One of the very things that has kept Opus One a leader in the dental industry is our commitment to continuing education. Opus technicians attend courses right alongside our dental counterparts to ensure that every aspect of restoring a case — from a full mouth rehabilitation to a single unit — is done at the highest level possible. Opus One is proud to note the countless hours of continuing education that have helped us reach a level that is unparalleled. And we will never stop learning and perfecting our craft. 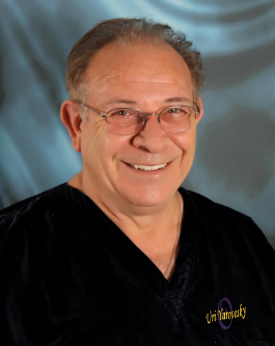 Uri Yarovesky, CDT, a ceramist, owner and President of Opus One Laboratories, Inc. in Agoura Hills, California is a graduate of Los Angeles City College in Dental Technology. He has been a pioneer in the development of new applications for laboratory-processed composite resins, for both Ivoclar Liechtenstein and Ivoclar Canada. Mr. Yarovesky has helped to improve and refine the methods of layering color in ceramics and composites, and was one of the developers of the “Concept Inlay/Onlay” technique. He led an intensive research and development effort that successfully conceived the patented “Encore Bridge” and the “Mosaic” posterior characterization guide. He has also developed the Enamelette Porcelain Veneer technique and Musette composite gingival tissue replication. In 2008, Mr. Yarovesky launched Hilla Technologies, a dental products company that has created a revolutionary new patented product called Hilla Digital Transfers. Mr. Yarovesky has lectured extensively both in the United States and internationally, including lectures for the AACD, Kois Center, and CADE. He sits on the advisory board for both the Los Angeles City College and Pasadena City College. Mr. Yarovesky is also on the editorial board for Inside Dentistry.